Out of all my kids, Maxwell is the one who can get hooked on something and listen to it over and over . . . and over again. He definitely does this with audio books (I wouldn't even try to come up with an estimate for how many times he's listened to Charlie and the Chocolate Factory) but also music. 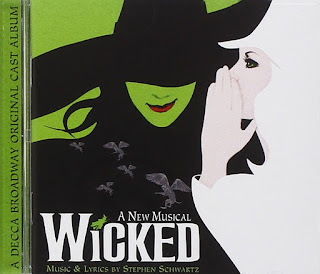 A few weeks before this last Christmas, I was narrowing down possible stocking stuffers when I thought of Wicked. Max had never heard it before, but I somehow knew it was just the kind of thing he could (and would) listen to on repeat. And sure enough, the dramatic orchestration, clever lyrics, and intriguing story line instantly grabbed him, and he's been listening ever since. Mike and I are big fans of the play, and even though our kids haven't seen it yet, it's been wonderful to share the music with them. Okay, so back in November, I mentioned the Stories podcast as being one of our current favorites. And it was. But just a short time after that, we listened to the Sailaway Stories podcast for the first time, and I have to tell you, I instantly felt my loyalty slipping. To put it rather bluntly, it surpassed the Stories podcast in every way. 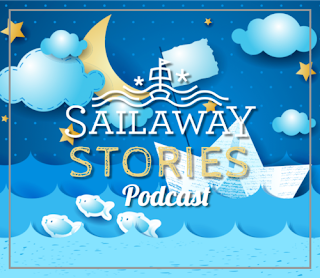 We still listen to Stories, so obviously we still like it, but if I had to choose between them, I'd pick Sailaway Stories every single time. Here's why: 1) The narrators are phenomenal. Unlike Stories, I don't find myself annoyed by the voices at all. It is a pleasure to listen to, and this counts for a lot. 2) They have a good mix of classic and original stories and rotate through them week by week. 3) Their classic stories are by Thornton Burgess, Beatrix Potter, and Howard Roger Garis, much beloved authors whose old-fashioned stories are completely timeless. 4) Their original stories are actually funny, well-written, and don't feel like they're trying too hard. I try not to judge music too quickly by reminding myself that some of my favorite albums and artists have taken me a few repetitions to warm up to. However, with Diana Panton, there was no need for such reminders. Her voice had me by the second note, and the only thing repetition has done is make me love her more. A Canadian artist, her voice is as delicate as lace and perfectly complements the light jazz style of her music. (Side note: Mike had her pegged as Canadian as soon as he heard "Alice in Wonderland" because, in his words, "no one else could sing that well in French AND English.") This album is made up of sweet, familiar songs from childhood (many of them from beloved movies), and the piano/guitar accompaniment is just as enjoyable to listen to as Diana Panton's voice. I think she's just recently starting to get some (well-deserved) attention in the U.S., and I'm so glad. I want to buy every single one of her albums. 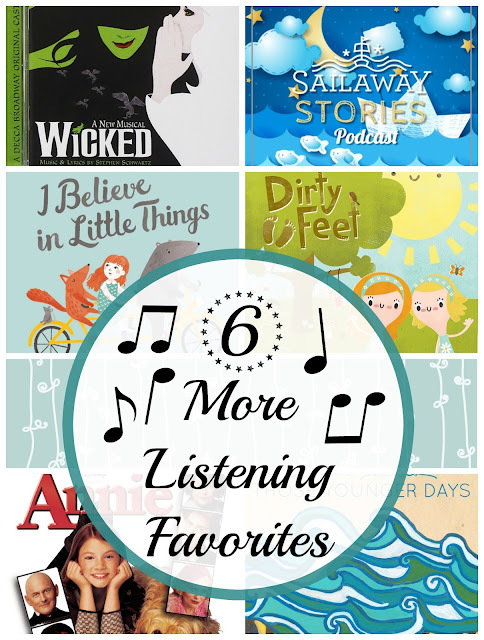 This is probably the only one on this list that would be categorized strictly as "kids' music," and it's just what kids' music should be: upbeat, fun, lively, and (thankfully) not the least bit annoying. 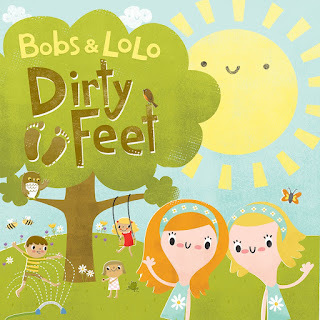 We discovered Bobs and Lolo in December when we checked out their Christmas album, Wave Your Antlers. It was one of those random chances that actually turned out golden. No one had recommended it to me. I just saw it on the shelf, picked it up, and we loved it. A Canadian duo (I guess I'm really digging Canadians this round), they just seem to understand the ins and outs of childhood. Oh, and did I mention they're not annoying? Double win. When we went on our San Diego trip, we knew we wouldn't be able to do much in the evenings, so we packed a few classic movies that our kids had never seen: Mary Poppins, The Sound of Music, and Annie (the 1999 version, which definitely is not as "classic" as the one from 1982, but it's the one I prefer). 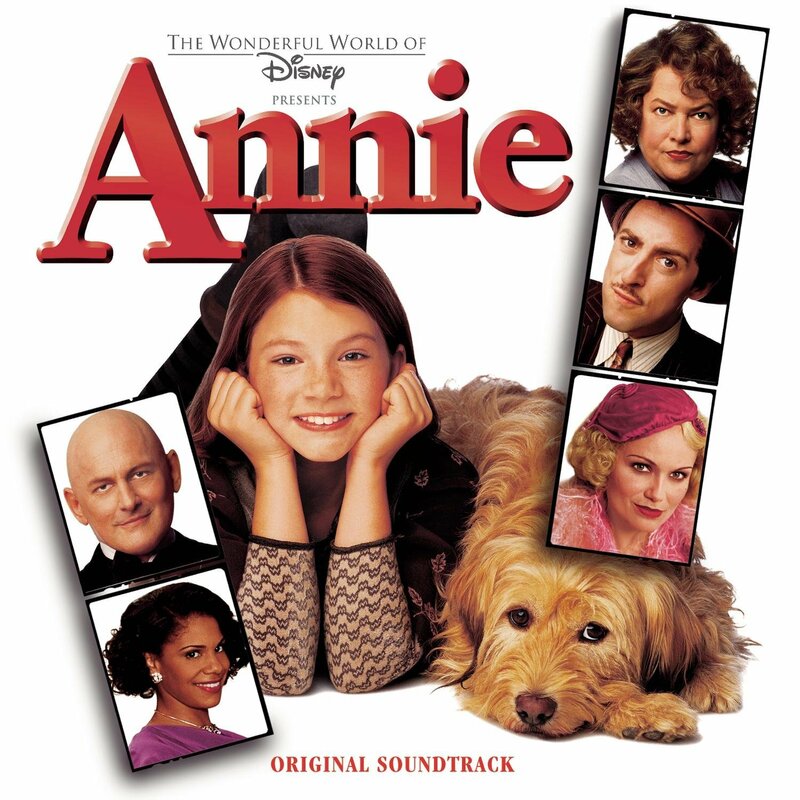 Our kids loved all three movies, but Annie was their favorite. I happened to have the soundtrack on the iPod, and they listened to it that night as they went to sleep. I still have all of the lyrics memorized from when I was a kid, and I've enjoyed singing along again. Plus, I just love Audra McDonald's voice. Heidi from Mt. 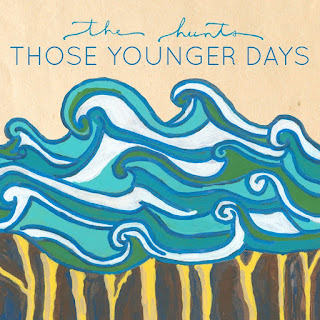 Hope Chronicles mentioned The Hunts several months ago, and so I decided to check them out. Our library didn't have any of their music, but I put in a request for them to buy their newest album, and they did! They are a family band made up of two sisters and five brothers, and their unassuming folk style was exactly the change of pace I was looking for. Their voices are made for each other (as you might expect since they are related), and I've been listening to them both with and without kids when I'm in the car. Okay, your turn! I KNOW you have ideas for me, and I promise you I'll check them out! 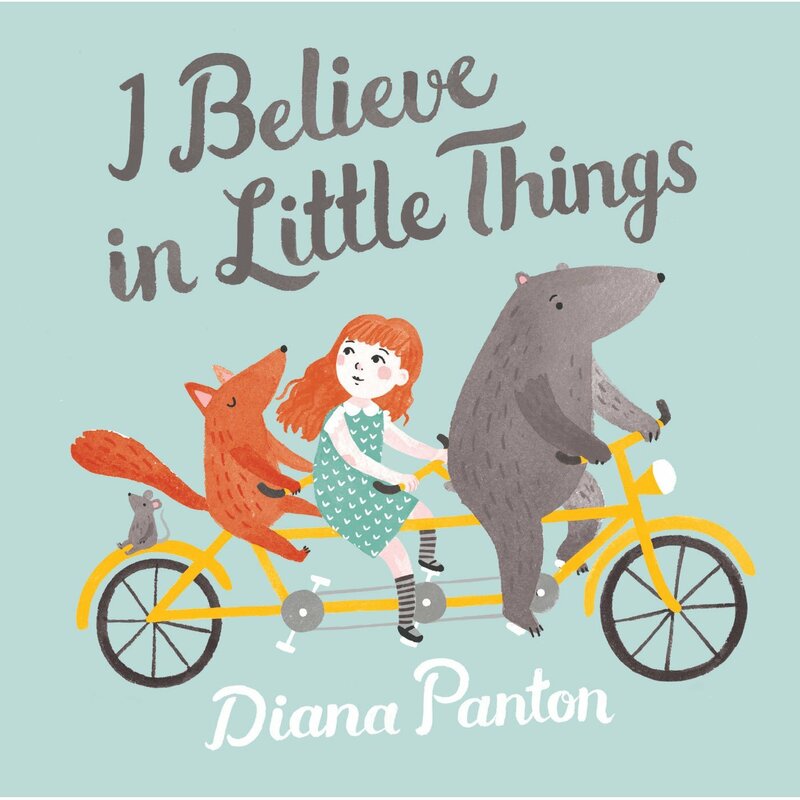 *I received a copy of I Believe in Little Things, and it was my pleasure to give it a glowing review. I'm so glad to have found Diana Panton's music. We are loving Sailaway Stories right now too! Have I mentioned the podcast 'Brains On' before? So fun. Kids + science + general curiosity. I don't think you've mentioned it before, but we are big fans of it as well! In fact, I mentioned it in this roundup last September: http://www.sunlitpages.com/2015/09/what-my-kids-are-listening-to-right-now.html There's also another science podcast that we recently discovered...I think it's called Tumble Science.